Operating a franchise business as the principal franchisor is a good feeling — it means that not only have you been able to achieve success with a solid business model of your own, but you’ve also passed that opportunity on to other entrepreneurs. 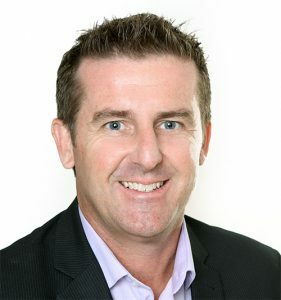 This type of activity is a vital part of the economic engine driving Australia’s commerce, and a franchised business that functions well grows in both reputation and size. Now that you’ve entered the world of franchising, however, you must stay on top of the complex challenges that make up successful franchise management. That includes not only maintaining good relationships with current investors and franchisees but looking for new opportunities as well. From recruitment to onboarding and performance monitoring, there is much to accomplish. Franchise Cloud Solutions, an official Salesforce partner, is proud to offer franchise business owners like you the opportunity to take full control of every part of your franchise management with software built for the task. This cloud-based system provides a direct and easy way to manage all aspects of individual franchises while gathering data, creating reports, and providing you with a powerful dashboard for effective management. Take a moment to consider the specific benefits afforded to your business with a system like this and what it is like to partner with the Franchise Cloud Solutions team. Consider the convenience inherent in a franchise management system that puts everything from financial information to customer feedback at your fingertips. Not only do daily operations become less confusing to follow, but it is also simpler to structure long-term plans. With a more accurate look at the state of the business and a centralised method for tracking franchisee performance and compliance, better results become attainable. Based on the experience of founder Brendan Green in his role as CEO of the Hire a Hubby franchise, this software considers the real-world demands faced by those in the franchising industry. Our services also include a consulting review of your current processes, to see where improvements are most necessary and to extend Franchise Cloud Solutions’ system to meet your requirements. With our ability to leverage Salesforce to meet these extensive custom needs, a tailored software system that brings your business fully into the age of cloud computing is readily available. Grow your role as a job creator in the Australian economy while gaining the tools necessary to improve your own internal processes and increase satisfaction among your customers. At Franchise Cloud Solutions, we understand that every business faces unique challenges and conditions. As a Salesforce partner and with a background in this sector, we can extend software solutions to match the real-world demands faced by your franchise. Whether you require additional tools for territory management or highly-detailed sales tracking, let us know what solutions you need. Reach out through our online form to request more detailed information. To further explore how our franchise management system can assist your business, submit an online enquiry or give our team a call on 1800 227 881.